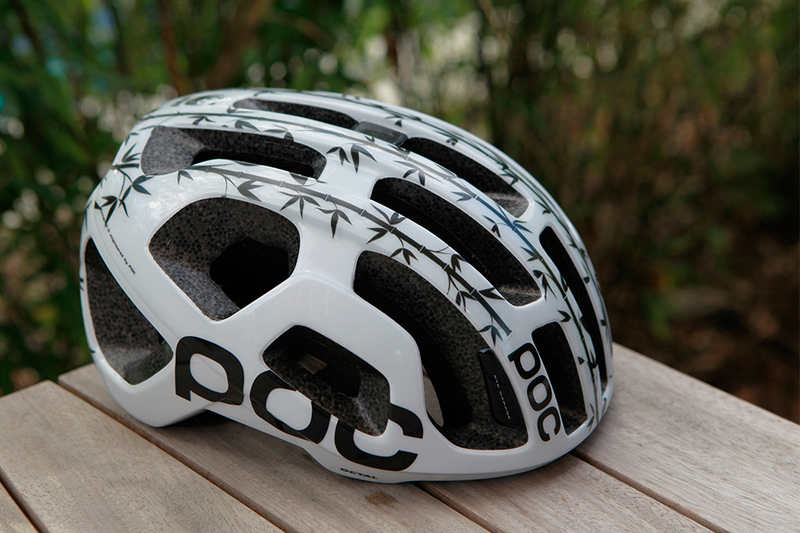 Dan Martin will take to the startline at the Tour of Beijing tomorrow wearing a special edition panda themed POC Octal helmet to celebrate Garmin-Sharp’s partnership with wildlife charity WWF. 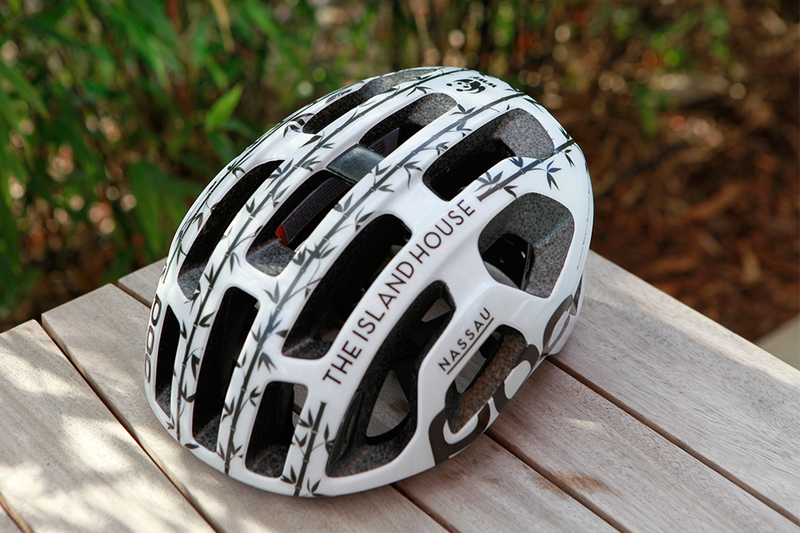 The helmet comes with a black and white bamboo design created by Steve Edge, an East London based designer, and will be auctioned off at the end of the Tour of Beijing to raise funds for global conservation. 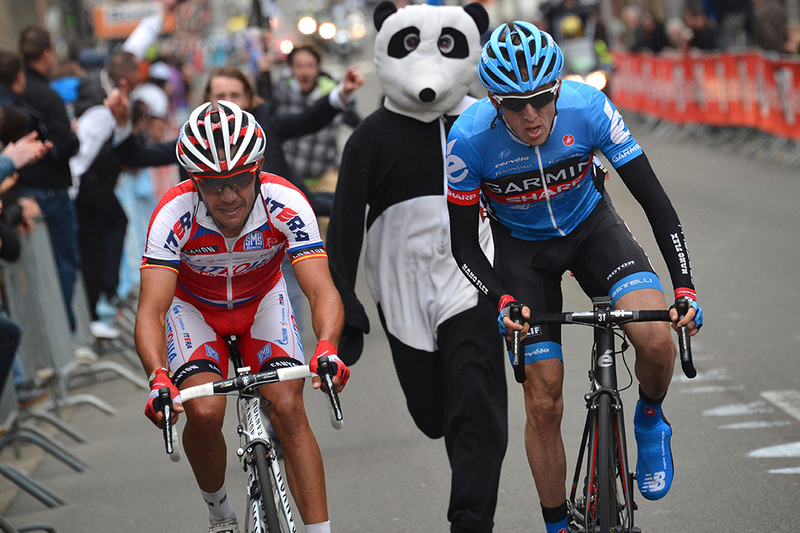 WWF has partnered with Garmin-Sharp since the beginning of the 2014 season, after the panda became Martin’s and the team’s unofficial logo since the Irishman was chased by a man in a panda suit on his way to winning Liege-Bastogne-Liege in 2013. The UCI recently announced that this year’s edition of Beijing would be the last, saying that they couldn’t see a place for the WorldTour race which has been running since 2011. It’s not been plain sailing for Dan Martin or his Garmin-Sharp teammates in getting to the race though, as he reported on his Twitter page the team had to wait for hours in Beijing airport carpark for their bikes to be released by Chinese customs. You can find all our coverage of the final Tour of Beijing here, while you can bid for Martin’s special edition helmet via the Sellebrity Auction website.